L'hai trovata alla fine Lilli! Troppo bella questa sciarpona, ne ho presa una sul rosso in saldo anche io, ma blu mi manca! Bella la borsa con il fiocchetto, un dettaglio davvero molto dolce! Questa caldissima sciarpa è incantevole Lily!!! Bellissimi i colori di questo outfit. Ti mando un bacione. Oh my word I LOVE your scarf!!! You look too cute - and cozy and warm. Awwww I hope I can find something like this for our winter! I love the oversized scarves and yours looks great. As usually, I love your entire outfit, sweetie. The scarf is really a great bargain and of course you look gorgeous with this outfit!!! Happy Monday and have a great time my doll! Ehi Lilli.. ma come siamo belle! Come stai cara? Ho perso la testa per il tuo sciarpone, che poi ne ho uno simile con gli stessi colori.. ma è diverso. Mi piace tanto il tuo look! La sciarpa è incantevole. dovrebbe essere caldissima!. 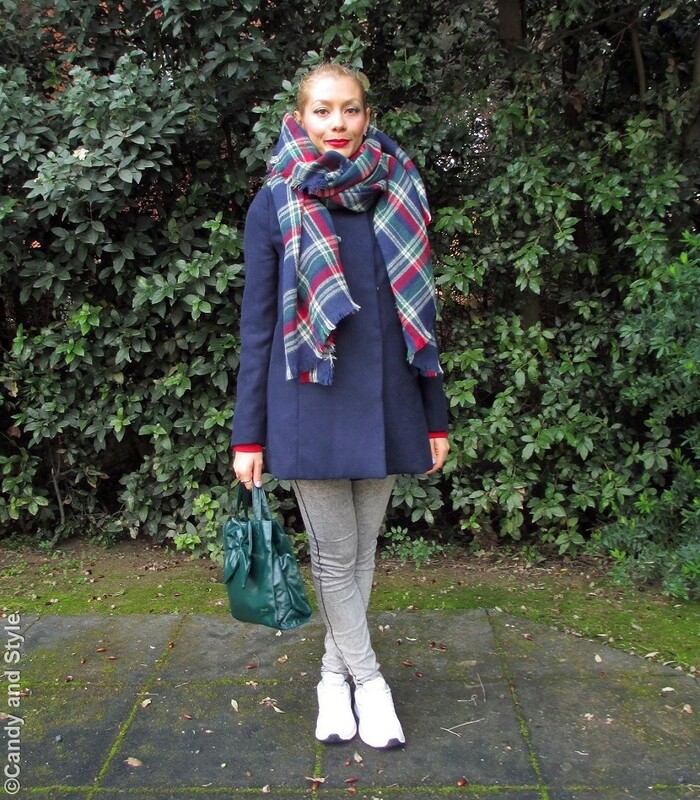 Splendido il look! Gurdando le tue foto, Lilli, mi viene una gran voglia di indossare la tua sciarpa!!! Finalmente l'hai trovata ed è bellissima... mi piace molto questo mix di colori e poi l'hai perfettamente abbinata: super stiloso questo casual look!!! I like your Blue coat and plaid scarf. I can't believe they are both from Mango. 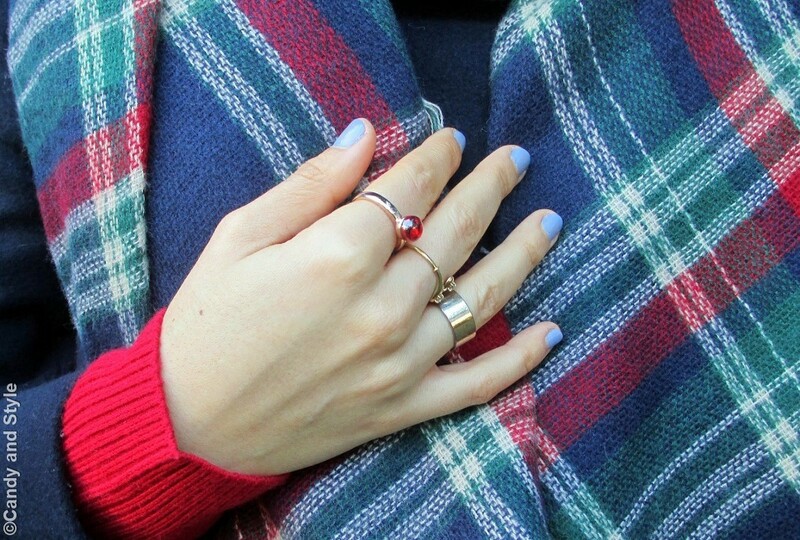 I have been looking for a blue and red plaid scarf especially from J Crew but it is always sold out. I wish you a Happy Monday. Love love love the super cute Bag! 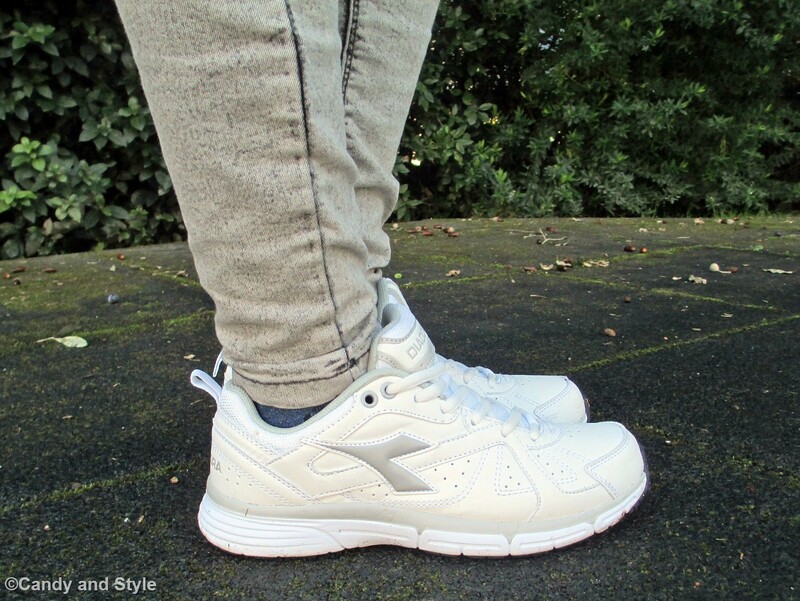 Hello Lilli, this mix is perfect to start a day full of activities, I like wear sneakers too they keep my feet cozy and comfy, have a great week! Kisses. You look gorgeous with this outfit!! Like your scarf and the combination of the colours too!! What a beautiful bag!! !Love the color of the nail polish! Wish you a happy week!Filakia! Oh Lilli! How BEAUTIFUL this looks on you! And what a great deal! Those are your colors! Red, blue and grey! ALWAYS looks superb on you doll. You look so comfortable, I want to steal the scarf! I love the look from head to toe. what a lovely oversize scarf! It really looks great worn in this casual way. I've loved this sneakers and coat trend ever since it appeared and I still feel the same. I think you look remarkably stylish and chic in those skinny jeans and sneakers paired with this elegant clean cut coat. The scarf is as I already said, quite lovely, and a perfect way to finish this gorgeous outfit. I absolutely adore your scarf, it's really pretty and looks so cosy too! And I was just about to ask what lipstick you're using and then I saw it's from Kiko. I wanted to try Kiko for so long but it's only available in Europe. :-( Have read so many amazing reviews about their products that I might just get desperate enough to order it from online. adoro la sciarpa, sei sempre chic tesoro! un bacio. I'm so happy you were able to get that plaid scarf you wanted and at such a bargain too! Sometimes it's worth it to wait for the sales :) It looks wonderful with this pretty outfit you styled it with too. The colors are just beautiful on you! Have a lovely week dear Lilli! there you have made a good conquest in the final sales, the scarf is great had has nice colours for combination with other colours. La borsa è bellissima e questo rossetto ti sta troppo bene Lilly. quella sciarpa mi piace tantissimo!! ma hai realizzato il makeup degli stessi toni della sciarpa????!!! grandiosa!! bella tu! mi piace un sacco la sciarpona e poi rosso e blu sono i tuoi colori ! un bacione! Che bella Lilli, mi piace molto il dettaglio verde del trucco sugli occhi che richiama la borsa e le righe sulla maxi sciarpa! Ti dico subito che la terza foto la adoro! Poi il look lo trovo molto fresco e poi la sciarpa caratterizza tutto il look e lo rende più particolare! molto bella la sciarpa e il lavaggio dei leggings mi piace molto! Aawww, cute details of your outfit! The scarf is stupenda, it looks so soft and the colours... I love it! And the bag... so pretty, so cute with the bow, so girlish!!! Gorgeous look, Lilli! I like the cosy scarf! 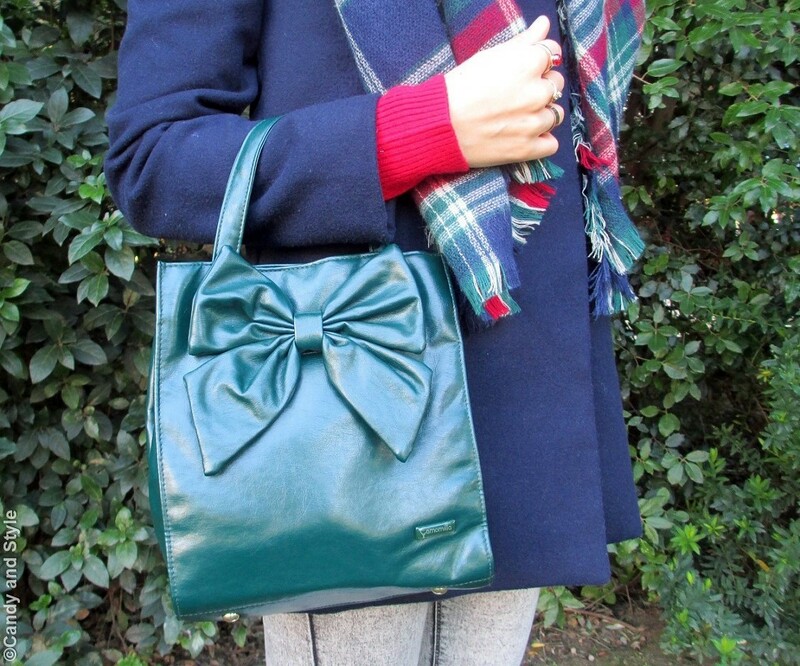 Lovely outfit with a blue theme and good idea to contrast it with the cute bow bag. Ciao cara, ma che bello il nuovo blog mi piace tantissimo questa veste semplice e chic. Per quanto riguarda il look è tutto da copiare, bella la borsa, stupenda la sciarpa e favoloso l'insieme. ma tu hai sempre delle sciarpe pazzesche e poi le abbini perfettamente. Questa 'new entry' è splendida! You look gorgeous! I like your make up and your scarf is so beautiful! Go you Lilli! I'm glad you managed to score this scarf, it looks lovely on you. BTW I am loving the new layout! Fancy! Bellissimo questo mix, i colori sono davvero carini, anche il versione casual! Adoro la tua sciarpa ti dona molto! wow, it's been a while ;) how are you doing? I hope everything is going great! cool look as always, nothing's changed :) I love your scarf! I promise to come back more often! Adoro il fatto che riesci ad essere sempre molto chic senza mai rinunciare alla comodità! Mi piace tutto! Ciao Lilli. Vedo che anche tu hai cambiato qualcosa al layout del blog...è molto carino! Mi piace un sacco la tua sciarpa e anche il make-up è perfetto. Such a fabulous winter outfit Lilli. 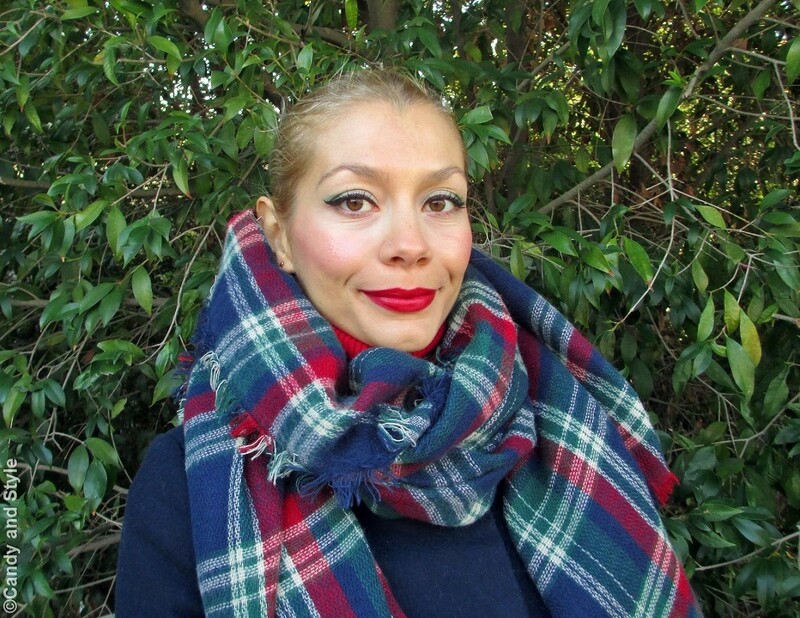 I love that scarf paired with the blue coat and bright red lips! As always you nailed it to perfection!